As the age-old saying goes, “It’s fashion week somewhere.” And by age-old I mean I came up with that this morning when I wanted to wear a full-length jumpsuit to class. But with hundreds of fashion weeks taking place worldwide my faux proverb can’t technically be wrong. You’ve got competition Gandhi. And this week “somewhere” will be closer than you’d think. 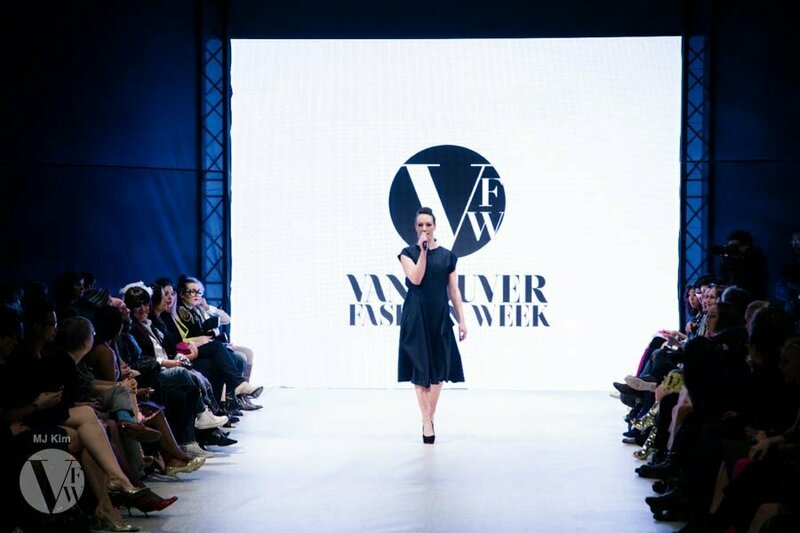 Vancouver Fashion Week has started and this year’s talent seriously overfloweth. Let’s get familiar with a few of the designers who are showing this season. Evan Clayton is a designer on the rise. He’s accomplished in both tailoring and draping, a dual skill set that is evident and striking on the runway. His collections are defiant, experimental, and should probably be taught in an art class somewhere. Evan has said that, as a designer, he’s been deeply influenced by Alexander McQueen. And he does have a flair for theatrics that is undeniably similar to his idol. He’s not afraid to shock an audience. Like the time he put fake blood in his models’ mouths and I didn’t sleep for three nights. Fashion. Tzuli Hsu has put oversized capes and puff skirts at the top of my wardrobe-want list. I mean, her lush knits make any grandmothers’ crochet projects look like rags. Take it in stride ladies. A lot of separates from her past FW15 collection look extremely cozy and wearable. As in, get on my body right now while I map out the nearest ski lodge. The collection also seems to take influence from the 1970s. In the best possible way of course. It takes the good and leaves the flare pants. As we all should. It’ll be interesting to see how she’ll transition her vintage-inspired knits into showing for spring and summer. Her designs, complete with leathery details, full skirts, and high collars, transform groups of runway models into high fashion covens. If you’re looking for gowns appropriate for red carpets, séances, sashaying through haunted mansions, etc.—she’s your girl. This is just a small representation of the talent that will be showcased during the SS16 Vancouver Fashion Week. I’m making it my personal fashion goal, aside from resisting an Ugg relapse, to see at least one of these designers live. You should make it yours too. The latter I mean. You do you when it comes to controversial footwear.